Plantar fasciitis has become an epidemic in our society not only amongst runners, but even more so to the average person who may not even exercise. Over the last 30 years we have been able obtain a better understanding for the condition and discovered that, contrary to the belief of many, heel spurs are not the cause of heel pain. The pain is due to an inflammation of the plantar fascia- a band of tissue that supports the arch, originating on the heel bone and extending out to the toes. Chronic overuse of the foot can lead to inflammation of this structure, very similar to the way tennis elbow effects the tendons of the forearm. So now that we understand the condition better, how do we fix it? Well, it’s not exactly that simple. Most of the time we can resolve the problem with stretching exercises and anti-inflammatories such as ibuprofen and ice. However, some patients can go on to have recurrent episodes that may do not resolve for years. 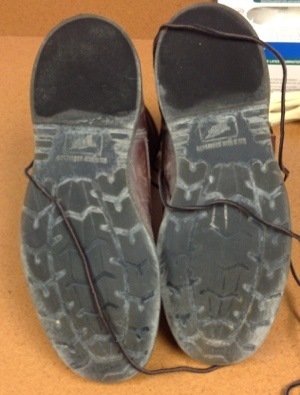 These cases are typically due to biomechanical factors usually directly related to shoe gear. In this particular case, the patient was a 50 year old male who works in remodeling and is required to wear steel toe work boots. He had suffered from plantar fasciitis for over 3 years and was able to control the situation with cortisone injections periodically but was never able to fully overcome the pain. He did notice his pain would improve when he was out of his work boots and either barefoot or in a more comfortable shoe but was unable to form any correlation other then his boots were making his condition worse. He had spent hundreds of dollars on different work boots and currently was wearing the popular Red Wing Shoes steel toe boots. We discussed with him the principals of why a heel was detrimental in a shoe and had advised for him to try cutting a heel off of a pair of work boots that he had to see if this changed his symptoms. An injection was not an option at this point as he had already received the recommended limit of three in the past year. 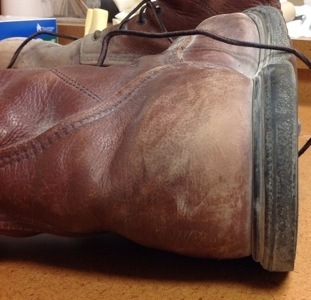 He was able to remove the heel from his boot without ruining the sole and began wearing it gradually each day for an hour and then increasing each week. After six weeks of this routine he had improved considerably and was 80% better. At his last visit he had felt the best he had in the past three years and really attributes this to the change he has made to his boots. This philosophy is now becoming increasingly more common in running shoes as we have seen the category of zero-drop shoes emerge (shoes creates with no height difference between the forefoot and the rearfoot – no heel . With the large interest seen in barefoot running and running in minimalist shoes we hopefully will begin to see a decrease in plantar fasciitis as runners forms will change and their feet inadvertently will become stronger. How did he cut off the heels, band saw, sawzall? I am having the same issue and wear boots a majority of the time. I would like to try this, but would love some feedback on how he cut the heels off. I wear danner and red wing boots and they are very comfortable but a little expensive to cut the heels off and ruin them. I happen to have similar plantar issues and also have 2 pair of the same exact boot in the photos. I removed the tread from the heel, then cut out approximately 3/8″ then glued the tread back on to the heel. This process resulted in a no drop workboot and I haven’t had a single day of pain since. Someone should make a zerodrop workboot. I would buy the first pair! Also, I removed the insoles and my feet have much more room and feel stronger without the arch and heel support. Lemming has them! Not sure if there out yet but they emailed me a prototype. How did u remove the tread and cut the heel. Anxious to know as I have the same boot and am experiencing similar symptoms. I’ve never had these problems before as I always wore flatter soles. I used a razor knife and sliced off the rubber portion, then removed the desired amount of the heel. After removing the 1/2″ or so of the heel, I then glued the rubber portion back on so that I would retain the electrical insulating properties of the boot. Make sure and use a glue that is waterproof and is flexible once set. Or just find some shoe glue. 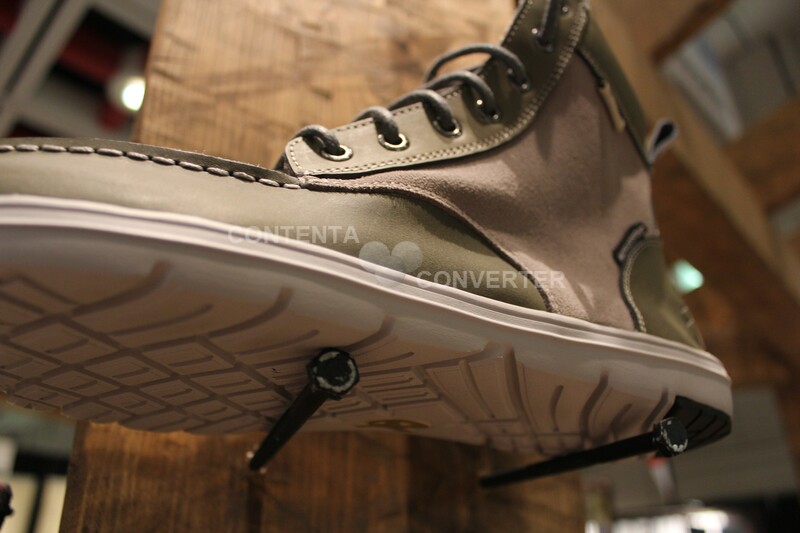 These boots have a foam inside in the heel or you could just cut off some of the heel and carve new tread into it. My back and legs had hurt for a long time so that after reading this article i took my sawzall and sliced the heals off my danner work boots. The relief was instant and amazing. I haven’t been able to find a desent zero drop work boot im just bandsawing the heels off for now. Awesome! I found this because I was searching the web to try to figure out how to remove the heel from my “duck boot” style winter boots. It *seems* like the heel is just glued on, and maybe I can pry it off? Without the annoying heel, this boots would be so much more comfortable and stable to walk in! I only do zero-drop or go barefoot after I discovered in 2010 that was the way to get rid of plantar fasciitis. Love your work, Dr. Nick! Thanks for any advice on getting the heel off my rubber boots. My newest pair of work boots, I used a side grinder with a wire brush wheel. Put the boot in a vise so it wouldn’t move and went to work. It peeled it off the fastest I have seen. I’ve used a razor knife on one pair and a hand saw on another. You just have to be sure the heel isn’t hollow, and keep it level. It’ll dig in fast if you’re not careful. Once you’re done taking off what you want, use a hand saw to put a tread pattern in the heel or it may get slick in wet conditions. I’ve done the same on a cheap pair of work boots I had…but most all of them have a curved steel shank that doesn’t change the angle of the boot after you remove the drop….how have people dealt with the curved shank? What would be the difference in cutting the heel off and wearing the boots that have a wedge sole. I have 3 pair of boots and ball of the foot problems really bad have often thought about removing the heel just not brave enough to do it. I have the exact pair of Redwing boots, and the exact problem. 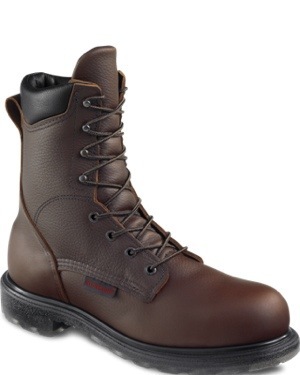 I bought the Redwing boots hoping they would outlast the cheaper boots I had been buying before in Walmart. Man was that a wrong move. 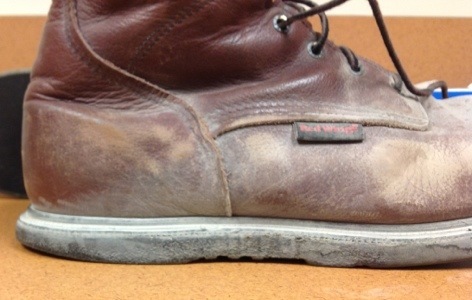 Seems like Redwing needs to fix their workboot, or offer a flatter sole option. These boots ain’t cheap. After discovering this article several weeks ago, I decided to try removing the heels from a pair of Irish Setter boots which I have had for over a year. I have had plantar fasciitis for a few years now and have had the same run around with buying one pair of boots after another. As soon as I put my newly modified boots on, I knew they were going to help me out tremendously. It was like instant pain relief! So I decided to cut some grooves in the tread for my trial usage of the new flat soles. Well, I liked it so much that I ended up taking that pair of boots to my local shoe repair shop and he was able to put some nice new vibram soles on them which are a consistent thickness (flat) front to back. It cost me $90, but it’s probably the best $90 I’ve ever spent! I’ve been suffering from plantar fasciitis for a long time and to finally discover a work boot that doesn’t further worsen this injury is a true blessing! Hope this can help others! been struggling with plantar fasciitis now for over a year. started wearing Dr Marten combat boots model 1460 and they do help my feet from plantar! basically flat bottom soles with hard insole. you are right doctor!